Unite with the almighty deities of Mount Olympus in Tribute of the Gods! High 5 Casino’s 196th game arrives soon! Check the YouTube video below and get ready to embark on a glorious odyssey in your High 5 Casino Reels! Are you ready to discover which Olympian deity will bring you the most luck and fortune in Tribute of the Gods? Comment in the conversation bubble located on the top right corner of your screen and let us know! 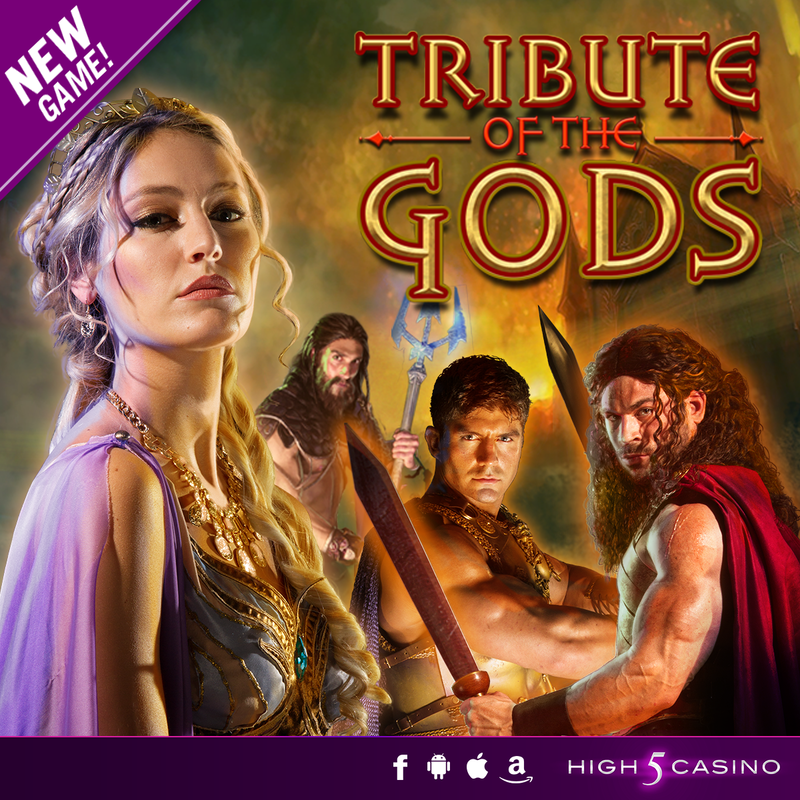 This entry was posted in game preview, Game Release, High 5 Casino and tagged Activated Scatter Pays, Android, App Store, Apple, Double Capture, Facebook, Facebook Games, game preview, Game Spotlight, Greek Mythology, High 5 Casino, High 5 Casino Mobile, High 5 Games, iOS, iPad, iPhone, iPhones, mobile gaming, slots, social gaming, Tribute of the Gods by hoothigh5. Bookmark the permalink. Hey Dave, Tribute of the Gods was released as a Sneak Peek Challenge. This game had to reach Game Level 150 by 4/27 at 4am EST in order for it to be kept unlocked in your lobby.You do have the option to unlock it from winning an unlock in your lobby slot. Once you unlock Tribute of the Gods, your progress will pick up where you left off.